If recent reports are to be believed, increasing number of businesses are starting to realise the importance of capacity management tools for their infrastructure and overall competitive advantage. While capacity management as a concept and service isn’t new, unfortunately it generally isn’t perceived as attractive or even necessary when compared with newer technologies and products being created. There’s now an increasing need to forecast capacity levels, plan ahead, and even predict risks in critical applications before they occur. Capacity planning is now more demand-based and should aim to forecast capacity issues before they cause an impact. But the fact is that for business growth and success, capacity management isn’t simply a luxury – it’s a business necessity. Below, we’ll look at some of the main advantages of having a robust capacity management strategy in place, and why it’s so important for organisations to get on board. Instead of forecasting and using resources more effectively, many IT operations are performing unnecessary and unplanned tasks due to unpredicted performance issues. This failure to forecast capacity risks will ultimately cost a business – not just in revenue but also in damaged reputation and customer faith. Let’s look at a data centre as an example – most of the applications here are oversized and will be reserving more resources than are actually needed. The result? Available capacity will run out sooner than expected and extra money will have to be spent on unnecessary hardware expansion costs. It’s crucial that businesses ensure that applications are meeting their service levels – not just in terms of the historical comparison of data, but also when it comes to using techniques such as trending and modelling to forecast and possible capacity issues before they actually happen. High levels of automation are often involved when it comes to virtualisation and cloud infrastructure, and this can lead to a significant lack of control and capacity-related incidents. The general rule should be that the more automation a business has, the more capacity planning is needed in order to avoid revenue losses. Every business knows it’s good sense to test their disaster recovery plan – but if you only ever do it at the weekend, then it can be misleading. The load in any working environment is often created by the users and customers, and so testing a DR plan when this pressure is missing could give you false information – and in the case of a real disaster, you could end up with capacity constraints. Therefore, a quarterly capacity assessment should be performed as part of each DR test, to determine whether the appropriate infrastructure is in place. 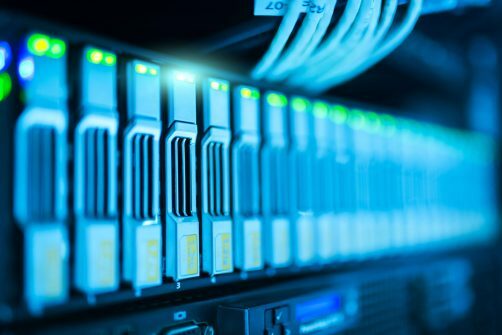 When two companies take the step to integrate their IT infrastructure, decommission or consolidate their hardware or applications should be expected – so a capacity assessment is essential to better determine costs and performance. Similarly, if a restructure is taking place and it requires the move of hosts, machines, datastores etc from one cluster or site to another, poor capacity management planning could cause downtime. Ultimately, business stability and growth can be better enabled by proactively identifying future risks before they occur. Overall, the lives of business owners will be easier, coast-saving goals can be achieved and business performance will be improved – that’s why implementing the appropriate capacity management processes and procedures is key and should be considered a necessity, not just a luxury.